Indoor fitness could pop up for many reasons, the weather being the ultimate of them all. It could range from a scorching sun, heavy/light rain, darkness, dawn etc. A lack of time during the day or even cash crunched to pay for a gym can make an ardent exerciser resolve to stay indoors to do the needful. According to Liz Noelcke a staff writer with Sparkpeople, "there is no reason that you can’t make a home gym part of your reality. A home gym adds convenience and privacy to your workouts. When you exercise at home, you save time, money, and the rush hour headaches (on the road and in line for the elliptical). Although you might be cautious due to budget and space limitations in your house, building a home gym isn’t as impractical as you might think. 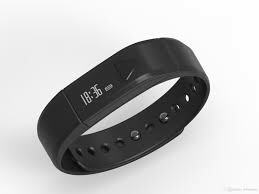 After all, gym memberships can occupy a large portion of your budget per year". You may not need to get all at once but when you put your mind to it, before long you will have a simple yet state-of-the-art home gym. Since I started this healthy lifestyle, I had always improvised and made sure I leave nothing short to excuses. For example, I joined a 5k walk/jog training program on Sparkpeople and somehow I am inhibited by those factors (as highlighted above), so I made a research on walking or running in place. If I could march in place then why can't I run in place and which will have a close if not the same effect. I checked some articles online and watched a video by Kimberly and her friend on YouTube (search "right and wrong way to jog in place"). 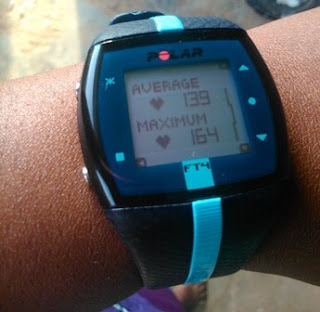 The first day of the training, I had my trackers on and my heart rate monitor in place, I was surprised that my heart rate could go as high as 151 while on the run and could stay low for 117 while resting. I was highly impressed and knew that "if there is a will, there is always a way". 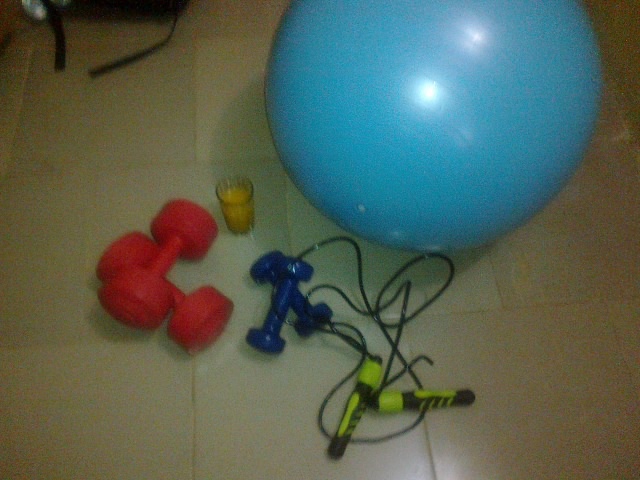 never mind my glass of drink, it's healthy "Nutri C"
You also need a setup, a small space with high ceilings if possible so that you don't hurt yourself when doing workouts like jump rope or jumping jacks. 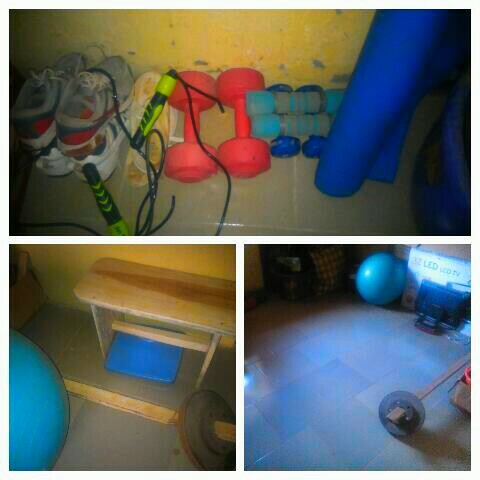 You will also need a strong will to stand and do that you need to do especially at such moments when you are bored of your home gym; I did not break the bank to get all and neither do you. What do you do to improve yourself when there are barriers?